We are known as one of the leading Anti Collision System Spare Parts Suppliers from India. 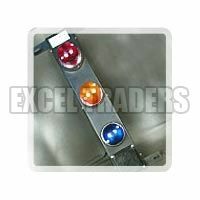 The Anti Collision System Spare Parts are available with us in a wide range that comprises of Anti Collision System Indicating Lamp and Anti Collision System Push Button. These Anti Collision System Spare Parts are high in quality and efficient in performance. The Anti Collision System Spare Parts can be availed from us in bulk quantities at affordable prices. 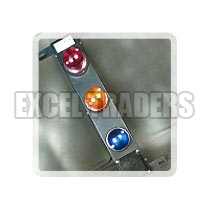 The company is ranked amidst the famous Anti Collision System Push Button Suppliers from India. The Anti Collision System Push Button is designed out of the best materials and components in compliance with the set industry standards. The Anti Collision System Push Button is known for its efficient performance and longer working life.